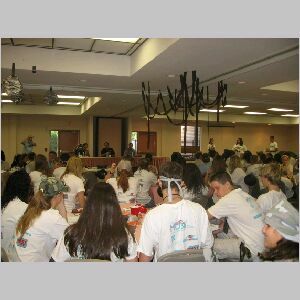 This conference was held at the FFA Leadership Training Center in Haines City, Central Florida. 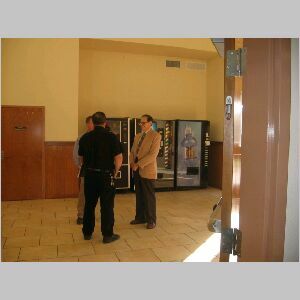 This is an exceellent facility with guest lodging, catering and conference Building. I was advised of this conference via a posting on the FLEAA by Charles Whalen. I volunteered and was given an opportunity to serve on a panel of three "Experts" on alternative fuels. 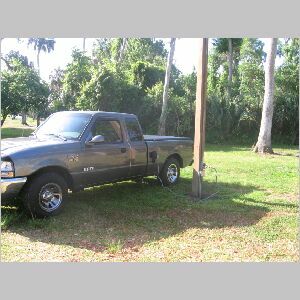 I brought my Electric Pickup Truck Conversion. The panel included three "Experts". One on the EV, one on Compressed Natural Gas (CNG) and one on Ethanol. I was able to address the gorup on the recent history of EV Technology and the problems addressed by EV Technology. Apecificaly, Foreign Oil dependence, National Security, Rising fuel and food prices, Pollution and Global Warming. 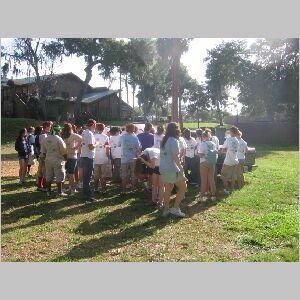 Following a Question and answer session the 140 students were separated into three groups, one with each "Expert". 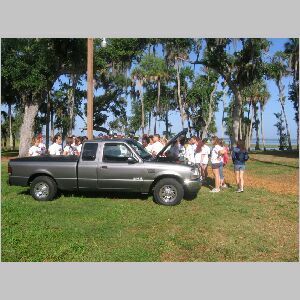 I sent some time with my group at my Electric Pickup Truck explaining the conversion and answering further questions. One of the other two groups had a similar session at the CNG car. The students then presented skits related to what they had learned. The entire experience was very rewarding for me.